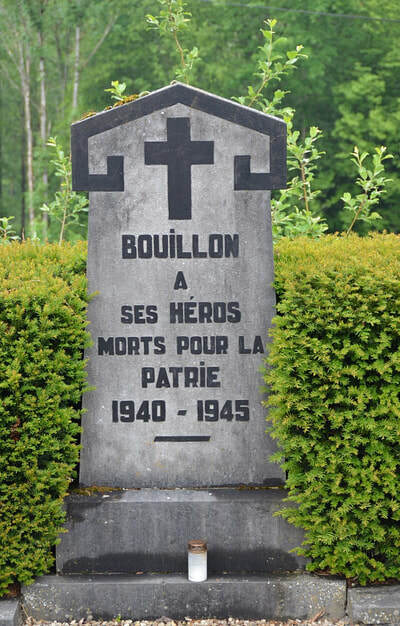 Bouillon, a small town and one-time fortress on the river Semay in the heart of the Ardennes, is now a tourist centre. 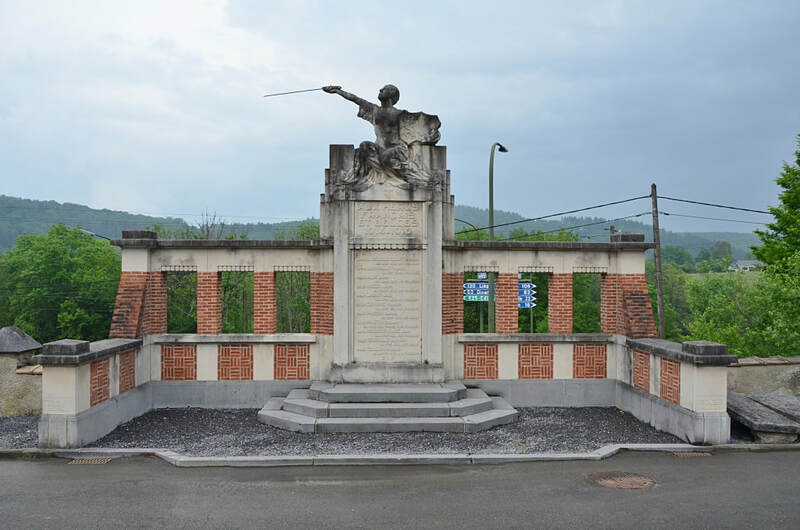 It is situated in the south-west corner of the province of Luxembourg, a few kilometres from the French frontier. 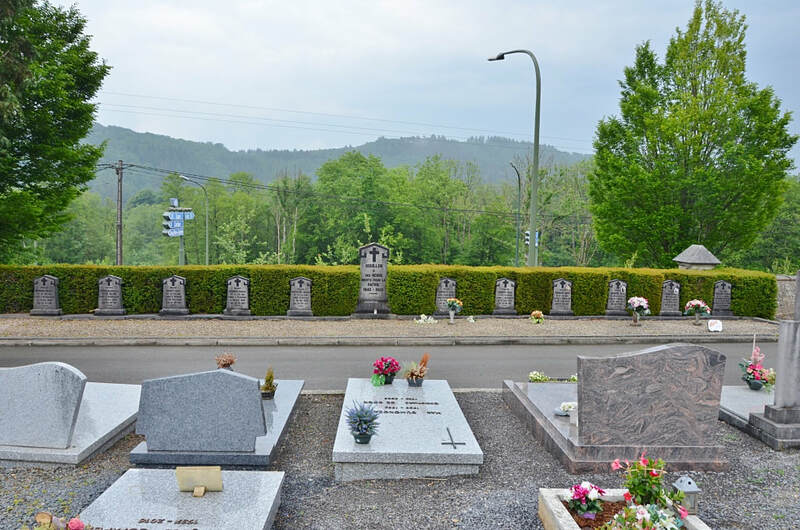 Sedan (France) is 18 kilometres to the south-west. 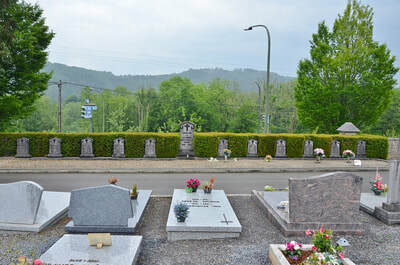 The cemetery is 3 kilometres south of the town, on the west side of the road to Sedan. 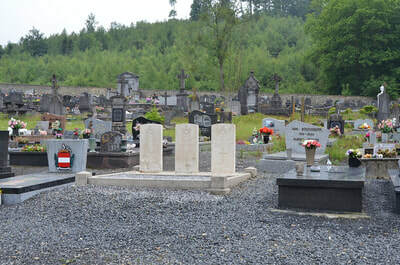 The graves are in the north-west part, near the entrance. The British Expeditionary Force was involved in the later stages of the defence of Belgium following the German invasion in May 1940, and suffered many casualties in covering the withdrawal to Dunkirk. 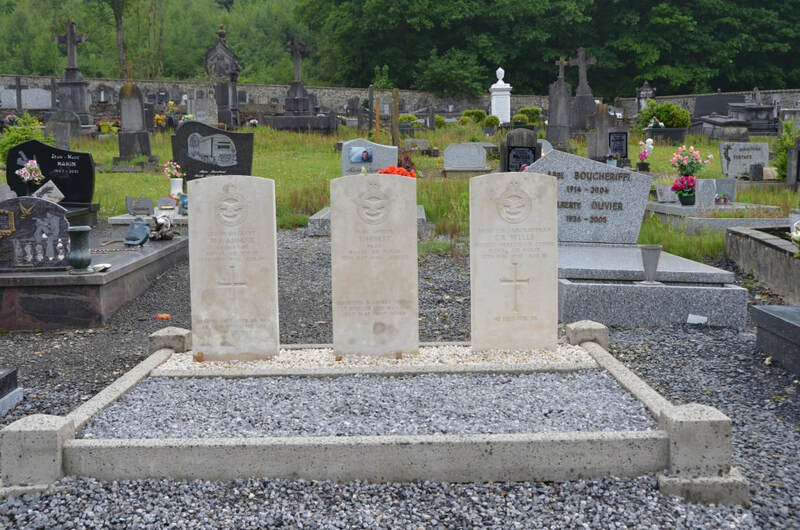 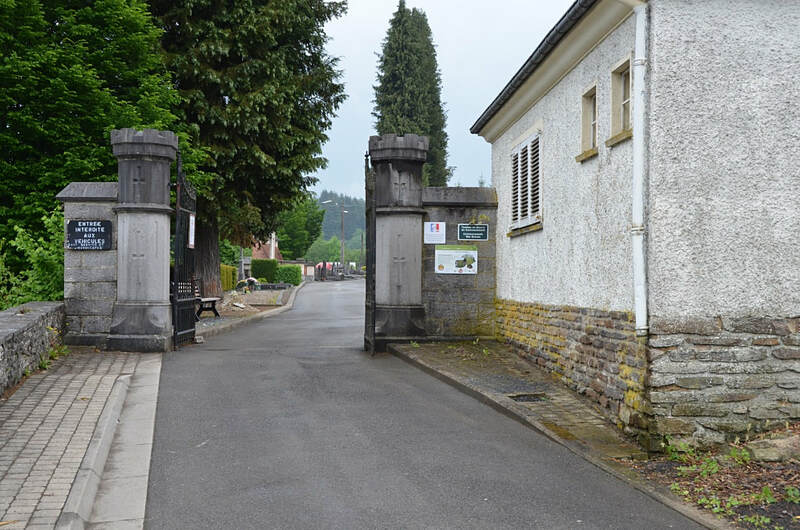 Bouillon Communal Cemetery contains the graves of three airmen of the Second World War. 525720 Sergeant William John Anning, Navigator in 105 Squadron, Royal Air Force, died 12th May 1940, aged 21. 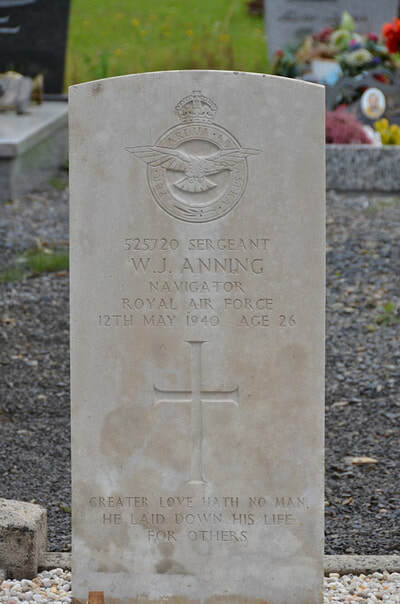 Husband of Vera Jessie Anning, of Heavitree, Exeter. 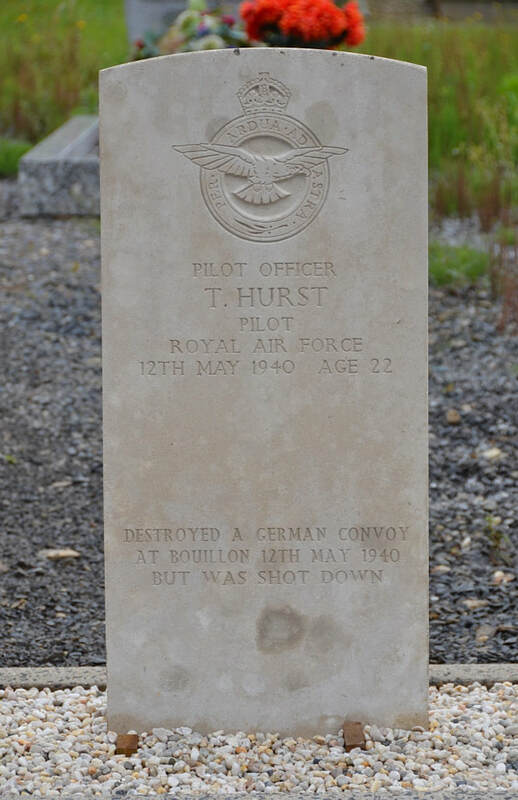 33388 Pilot Officer Tom Hurst, Pilot in 105 Squadron, Royal Air Force, died 12th May 1940, aged 22. 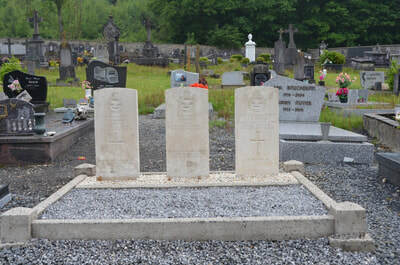 Son of Edgar James Hurst, M.A., and Elizabeth Hurst, of Purley, Surrey. 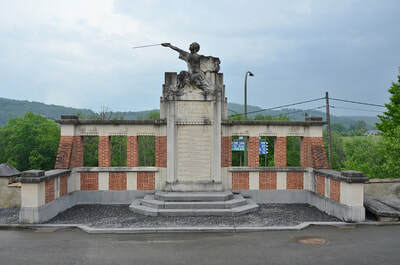 Awarded King's Gold Medal, R.A.F. College, Cranwell. 1938. 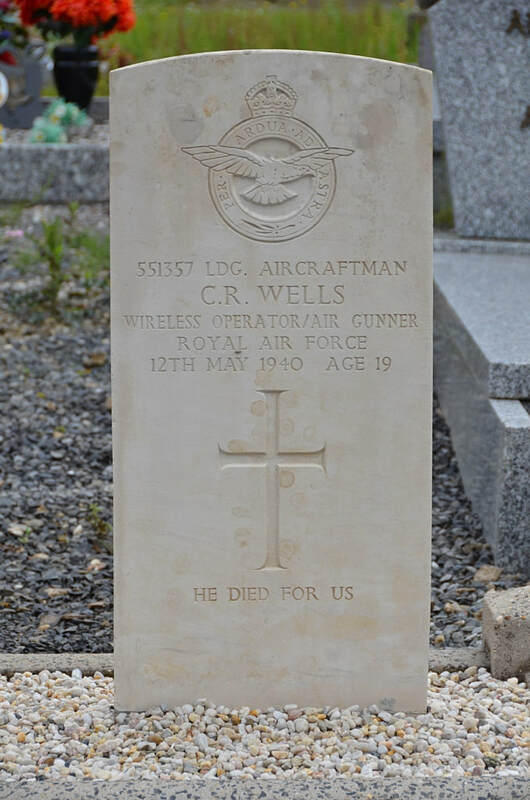 551357 Leading Aircraftman Clifford Ronald Wells, Wireless Operator/Air Gunner, Royal Air Force, died 12th May 1940, aged 19. Son of William Albert and Harriet Holloway Wells, of Reading, Berkshire.